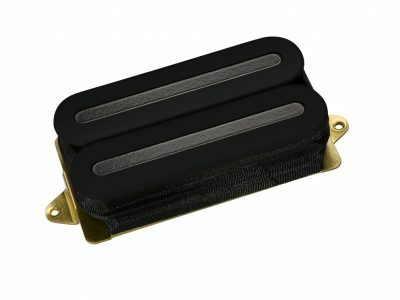 Here are the characteristics that make a great vintage humbucker: a soft magnetic field, sweet tone, perfect balance between warmth and clarity, the ability to go from clean to distorted by pick attack alone. 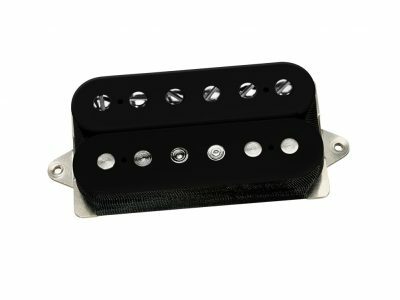 For our PAF® 36th Anniversary Neck we wanted to continue in the path of pioneers such as Seth Lover (designer of the original Patent Applied For humbucker) and create pickups that combine all of the characteristics of great vintage humbuckers. 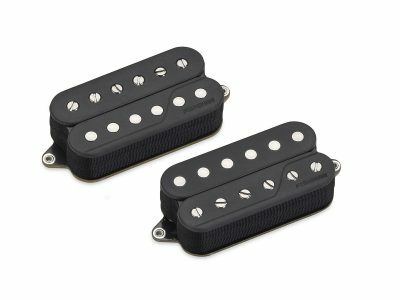 These pickups are not merely clones. We re-engineered the PAF® using our patented technology and Larry DiMarzio’s own 1959 cherry sunburst Gibson® Les Paul® as the reference. Larry’s Gibson® Les Paul® has a uniquely amazing sound and it’s not only due to the pickups — it’s the total fusion of many elements of the guitar itself. 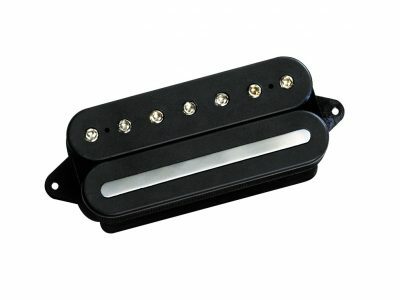 Although the pickups have a weak magnetic field, the sound is well defined: almost like a single-coil. We duplicated the weaker magnetic field in order to allow the strings to vibrate longer, as well as focus and articulate the attack and output. 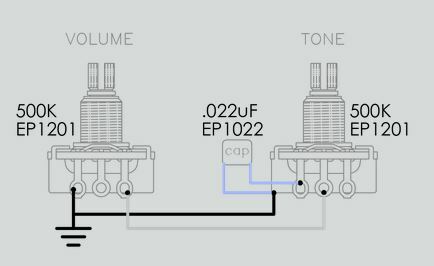 We use computer-controlled winders to consistently layer the 42-gauge custom-coated wire, achieving the exact frequency response we want. Then it’s dipped in our custom formula to eliminate squeal and microphonics. The cover is made from nickel-silver and our new plating makes it more magnetically transparent than the originals. 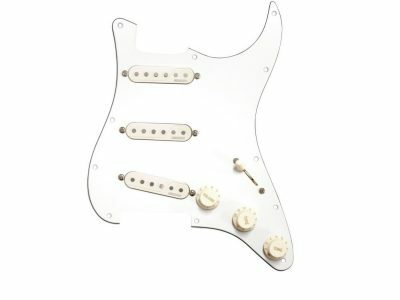 The PAF® 36th Anniversary Neck is smooth but not muddy. 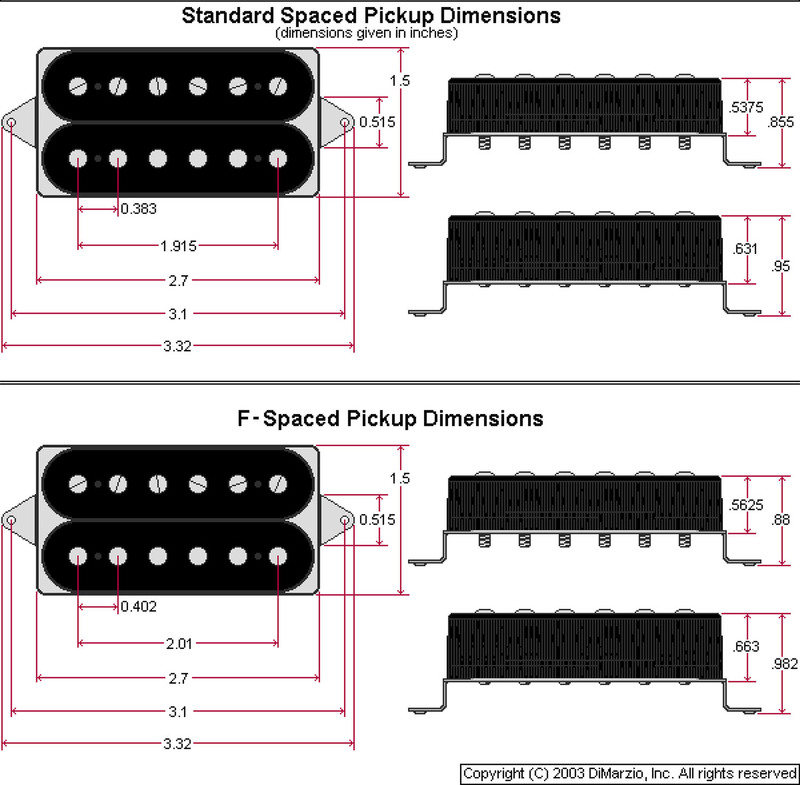 It performs equally well in the neck or bridge, just as the best humbuckers from the 50s did. 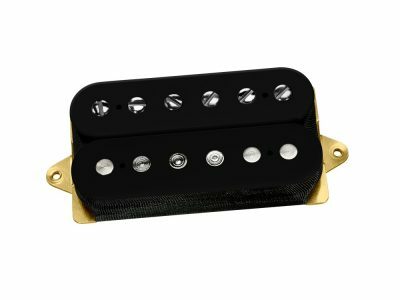 The PAF® 36th Anniversary Bridge is hotter than the Neck. 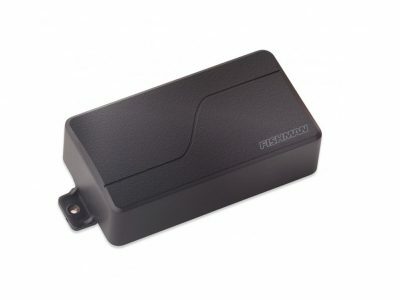 It is not only for set neck 24¾” scale guitars, but it’s also an excellent bridge pickup for trem-equipped bolt-ons. 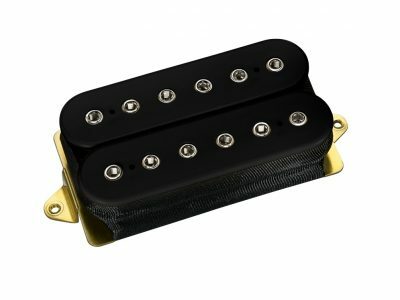 Recommended for Bridge position but can also be used in neck position with higher output bridge models.